Shortly after Presidents Donald Trump and Vladimir Putin wrapped up their recent summit at the Finnish Presidential Palace, in Helsinki, around two hundred journalists gathered in the buildingâs neoclassical ballroom. It was July 16th, three days after the special counsel Robert Mueller published an indictment charging twelve members of the G.R.U., Russiaâs military-intelligence service, with hacking into Democratic Party servers and disseminating e-mails during the 2016 election. As Trump started answering questions about the interference, and it became clear that he would not accept the assessment of U.S. intelligence agencies over the denials offered by Putin, the frenetic sense of anticipation in the room turned to silent confusion. At the lectern in Helsinki, Putin did not speak of what is surely the true source of his animus: Browderâs decade-long campaign against Russian corruption. In 2009, Browderâs tax adviser Sergei Magnitsky testified that the Russian police and tax authorities had attempted to steal two hundred and thirty million dollars in Russian taxes paid by Browderâs Moscow-based investment firm, Hermitage Capital. Magnitsky was arrested, and died in a pretrial detention center in Moscow. In the years that followed, Browder strenuously lobbied for a law that would punish those responsible. The Magnitsky Act, which sanctions Russian human-rights violators and other officials implicated in corruption and abuse-of-power cases, was passed by Congress in 2012 and has been a subject of furious preoccupation for Putin ever since. The President has maintained that he was not aware of the meeting at the time, despite recent claims of his former lawyer Michael Co hen to the contrary. Earlier this month, Trump tweeted, âThis was a meeting to get information on an opponent, totally legal and done all the time in politicsâ"and it went nowhere. I did not know about it!â Muellerâs investigation is almost certainly exploring the question of whether the meeting was, in fact, âtotally legal,â or an attempt to collude with a foreign government, and whether the Administrationâs initial version of events and the actions of the President constituted an obstruction of justice. In Helsinki, Trumpâs apparent openness to handing Browder over seemed to play into Browderâs fears. (It also raised practical questions: in 1998, Browder, who lives in the U.K., acquired a British passport and renounced his American citizenship.) The next day, Russian prosecutors added Michael McFaul, a top adviser on Russia policy in the Obama Administration and, later, the U.S. Ambassador to Russia, to the list of those they wanted to question. That the White House considered the proposal was an extraordinary breach of diplomatic protocol. âI couldnât believe it,â McFaul told me. âSo being involved in a policy process is now somehow considered criminal behavior?â The State Departmentâs spokesp erson Heather Nauert called the notion âabsolutely absurd,â and, after lawmakers from both parties raised an outcry, the White House rejected Putinâs offer. Browder was reassured by the bipartisan response. âThe whole world knows that Vladimir Putin hates me, Vladimir Putin wants to get his hands on me, and, if anything happens to me, Vladimir Putin is going to be blamed,â he told National Review. Browder, who is fifty-four, with a dusting of silver hair and rimless eyeglasses, has a forceful yet understated authority and a talent for telling a coolly suspenseful tale. In 2015, he published a memoir, âRed Notice,â which sold three hundred and fifty thousand copies in the U.S. and was described by a reviewer in the Times as ârivetingâ and âmarred only by Browderâs perhaps justifiable but nevertheless grating sense of self-importance.â He is a persuasive speaker, and careful in selecting the details of the story he presents. (He declined to talk to me for a profile.) As an anti-corruption activist, Browder has spoken out against the exploitation of offshore tax havensâ"for example, the ones detailed in the documents that were leaked from the Panamanian law firm Mossack Fonseca, in 2016. Many companies listed in the so-called Panama Papers were entirely legal. Still, Browder tends not to mention that Mossack Fonseca set up at least three firms for him and Hermitage. Browder studied economics at the University of Chicago, and then did a stint at the management-consulting firm Bain & Company. In 1989, he got his M.B.A. at Stanford before going to Poland as a consultant for the Boston Consulting Group. He became entranced by the opportunities in the countryâs newly privatized industries and bought up shares of formerly state-held enterprises. In the early nineties, he spent several years in London as a trader at Salomon Brothers, and met his first wife, who is British. In 1996, Browder moved to Moscow and founded Hermitage Capital. This was the peak of the chaotic post-Soviet âWild East,â a time of lawlessness and speculation. Ove r the next two years, Hermitageâs portfolio grew to more than a billion dollars, but it was nearly wiped out in August, 1998, when Russia defaulted on its sovereign debt, causing widespread panic. Browder was one of the few Western financiers who chose to remain in the country. Between 1998 and 2005, the price of oil quadrupled and the Russian stock index went up by nearly three thousand per cent. Browder gained attention for publicly criticizing the management of companies in which his fund had invested as a minority shareholder, in an effort to goad them into being more efficient and transparent. He held combative press conferences outlining Russian corporate malpractice and passed along to journalists dossiers that described the way venal oligarchs engaged in asset stripping, wasteful spending, and share dilutions. Bernie Sucher, a prominent American banker in Moscow throughout the nineteen-nineties and the aughts, told me, âLooking back, I think he was absolutely right . The government needed that harsh spotlight.â But, he added, âI donât think Bill started out with a passion for corporate governance. He found it to be an instrument that helped him and his investors make a lot of money. Ultimately, it became a sincere crusade.â According to Steven Dashevsky, then the head of research at a Russian investment bank, Browderâs anti-corruption stance was a kind of âfree marketingâ for Hermitage. In July, 2006, Putin was asked at a press conference about Browder. Putin said that he didnât know the particulars of the case, but added, âI can imagine this person has broken the laws of our country, and if others do the same weâll refuse them entry, too.â Browder instructed his Hermitage colleagues to sell off the firmâs Russian assets and moved key staff to London. As Browder tells it in his book, on June 4, 2007, while he was on a business trip to Paris, he got a call from Moscow. The offices of Hermitage and its law firm were being raided by dozens of police officers as part of a tax-fraud investigation into Kameya, which, in âRed Notice,â Browder describes as âa Russian company owned by one of our clients whom we advised on investing in Russian stocks.â (Kameya was, in fact, one of the companies that Hermitage had initially set up in Kalmykia.) T he allegations were curious: Hermitage had been under investigation for tax avoidance in previous years, but it was not in arrears at the time, and the Russian authorities had no active tax claims against it. During the search, police officers seized thousands of documents. They also made off with Hermitageâs original corporate seals and stamps, bureaucratic instruments needed to register a new company and to act on its behalf. Browder has often said that, in response to the raid, he went out and hired Sergei Magnitsky, âthe smartest lawyer I knew in Moscow.â Actually, Magnitsky, then thirty-five, was a tax adviser who worked for the firm that had advised Hermitage for a decade. Magnitsky, Browder, and others at Hermitage began to piece together what they believed had happened next: police had used the impounded seals and stamps to reregister Hermitageâs companies in the name of low-level criminals, and those companies then applied for tax refunds totalling two hundred and thirty million dollars, the amount that Hermitage had paid in capital-gains tax. Two state tax offices in Moscow appeared to have approved the refunds the next day. Hermitage filed criminal complaints, some of them more than two hundred pages long. Magnitsky testified to Russian state investigators in June, 2008, after which his lawyer advised him to leave the country. He refused, and gave further testimony that October. Several weeks later, he was arrested on charges of abetting tax evasion through Hermitage, and held in pretrial detention. Over the next eleven months, he was transferred from one Moscow prison to another, held in increasingly foul and torturous conditions. He developed gallstones and pancreatitis; a doctor ordered surgery, but he was not treated. On November 16, 2009, he felt deeply unwell, and was brought to Matrosskaya Tishina, or Sailorâs Rest, a notorious prison in northeast Moscow that had a medical wing. According to Magnitskyâs lawyer and Russ ian human-rights advocates who later investigated the case, Magnitsky was put in a holding cell, handcuffed to a bed, and beaten. By 10 P.M., he was dead. Natalia Veselnitskaya, the Russian lawyer who met with Donald Trump, Jr., Jared Kushner, and Paul Manafort at Trump Tower. Her defense of a client in what was formally a white-collar financial matter became an influence campaign with geopolitical stakes. The opacity of the Russian bureaucracy and the lack of any prosecutions within Russia meant that much of the information Browder offered was difficult to confirm. As Michael Carpenter, a career diplomat at the State Department who worked on Russia policy and later served on the National Security Council, told me, âWe had strong confidence in the details of the over-all Magnitsky story, but where we had less confidence initially was the culpability of particular individuals.â The Obama Administration chose to sanction just eighteen of the two hundred and eighty-two people Browder had nominated. Over the next six years, thirty-one more were sanctioned as well. Putinâs beleaguered political opponents in Russia celebrated the sanctions. In 2013, Boris Nemtsov, a leading opposition activist in Russia, wrote of the new law, âIt hurts Putinâs thieves, murderers and scoundrels, and benefits the country.â (Two years later, he was assassinated, not far from the walls of the Kremlin.) The Magnitsky Act threatened the unspoken pact that governs Putinâs relations with those who enforce his power, whether they are interior-ministry officials or bureaucrats in the tax agency. âIt means his krysha doesnât work,â Celeste Wallander explained. Krysha is Russian for âroof,â and in criminal jargon means the protection that a powerful figure can offer others. 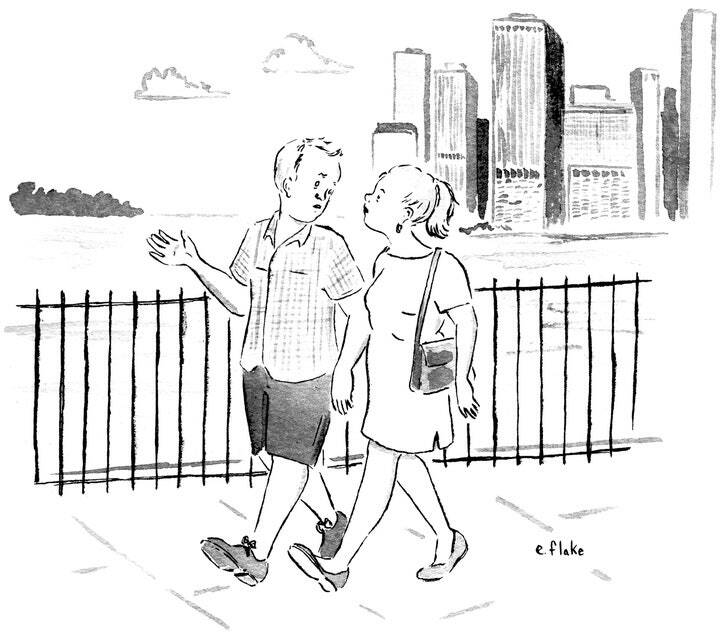 âIt screws up his social contract with those inside the system,â she said. Two weeks after the bill was passed, officials in the Kremlin came up with a particularly cruel response: a ban on U.S. citizensâ adoptions of Russian children. Putin, searching for retribution, supported the idea. In the years before the ban, Russian children had been adopted by more families in the U.S. than in any other countryâ"around a thousand a year. At the time the law was passed, more than two hundred Russian children, who had already met their new parents, were prevented from travelling to the U.S . to join their adoptive families. The only time the Magnitsky story was invoked in the seizing of assets inside the United States was in September, 2013, when the U.S. Attorneyâs office in New York filed money-laundering charges against a company called Prevezon. The companyâs sole shareholder was Denis Katsyv, a businessman and the son of Pyotr Katsyv, who, as a high-ranking bureaucrat, oversaw large state budgets for the region surrounding Moscow. Browder was responsible for the case: in December, 2012, he hand-delivered a letter to the office of the New York District Attorney documenting allegations against Prevezon and Denis Katsyv, and requesting that prosecutors âinitiate a civil forfeiture action.â The District Attorney passed the materials to the U.S. Attorney and the New York office of the Department of Homeland Security, which has a dedicated money-laundering and financial-crimes task force. The indictment, which appeared to have drawn much of its information from an investigation published in Novaya Gazeta, a respected Moscow-based independent n ewspaper, claimed that Prevezon had benefitted from a part of the two-hundred-and-thirty-million-dollar theft uncovered by Magnitsky and used those funds to buy a number of luxury apartments in Manhattan. The Prevezon case provided the platform for an ever-expanding Russian campaign against the Magnitsky Act, largely overseen by Natalia Veselnitskaya, who had been the lawyer for the Katsyv family for a decade. I met Veselnitskaya last fall in Moscow, at a cafÃ© in the center of town; she is an imposing, glamorous woman with an exhaustive memory for dates and facts. She doesnât speak English, is not licensed to practice law in New York, and, at the time the charges were filed, had never been to the United States. She played no formal role in Katsyvâs defense but acted as his legal adviser and confidante. Katsyv, following Veselnitskayaâs advice, hired BakerHostetler, an Ã©lite law firm with offices in Rockefeller Center. According to multiple sources familiar with the Katsyv familyâs legal strategy, the legal work on the Prevezon case and Veselnitskayaâs related lobbying carried costs of up to forty million dollarsâ"a vast sum, considering that the U.S. government was trying to seize, at most, fourteen million dollarsâ worth of property. Veselnitskaya has closer links to the world of Russian officialdom than she has previously let on. âI get the feeling Natalia is a very effective provincial-court operator,â a person close to the Prevezon defense team said. 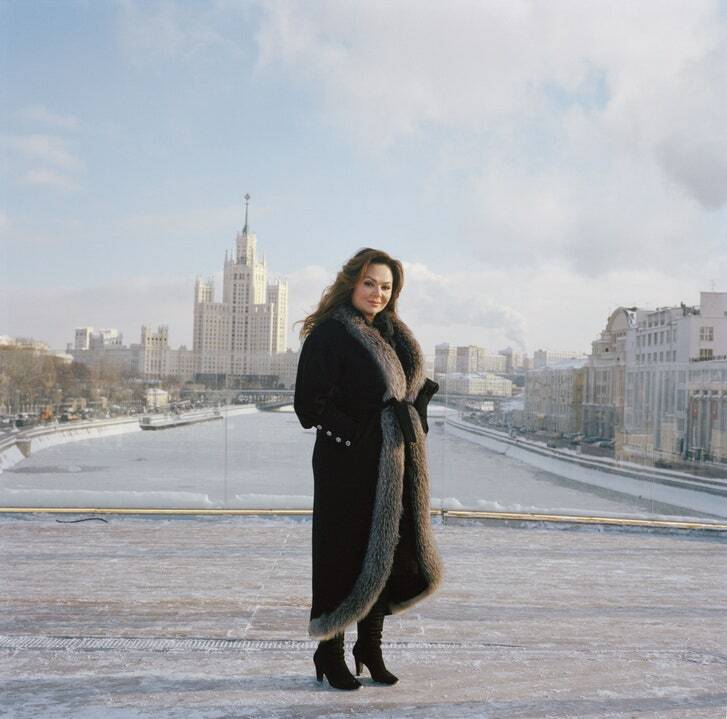 âSheâs not that importantâ"but for a while the case she was fighting was.â The Prevezon investigation was of particular interest to those back in Moscow who resented the Magnitsky Act. Talking to me, Veselnitskaya downplayed any ties she had to Yuri Chaika, Russiaâs general prosecutor, but a researcher on the Prevezon case told me that she often took his calls. Information gathered by Prevezonâs defense team made its way to officials in Moscow. It included supposed links between Hermitage Capitalâs purchase of Gazprom shares and the New York investment firm Ziff Brothers, a longtime Democratic donor for which Browder had once made stock trades in Russia. In July, 2016, information about Ziff Brothers appeared in requests for legal coÃ¶peration sent to the Department of Justice from the Russian general prosecutorâs officeâ"the body Chaika heads. Veselnitskaya raised the allegations in Trump Tower, and Putin returned to them in Helsinki when he mentioned the âbusiness associates of Mr. Browderâ who âsent a huge amount of moneyâ to Clinton. The researcher for the Prevezon defense, who helped unearth information on Browderâs relationship with Ziff Brothers, said that the details had âmorphed into something wildly inaccurate.â The researcher added, âWe never thought this Ziff stuff would have any value. We tried to find a use for it, and never managed toâ"but, obviously, the Russians did.â Ultimately, the researcher said, Putinâs false accusations had only strengthened Browderâs credibility. In 2015, as Browder was busy promoting his book, he expounded on the Katsyv case in television and radio interviews, but was reluctant to testify in court. Prevezonâs lawyers sent process servers to issue a subpoena twice in personâ"first in July, 2014, as Browder was leaving a talk he had given at the Aspen Institute. He let it drop to the ground and drove off with his teen-age son. In February, 2015, outside the New York studio of âThe Daily Show,â where Browder had filmed an interview with Jon Stewart, another server tried to hand him a subpoena. He lea ped out of a waiting town car and fled down Fifty-first Street. In March, 2015, the judge in the Prevezon case ruled that Browderâs activism and promotion of âRed Noticeâ counted as business in America, and that he would have to give testimony as part of pretrial discovery. The judge was skeptical that Browderâs evasiveness was motivated by fear of the Kremlin. âApparently, the credible threats did not prevent him from going on âThe Daily Showâ on February 3rd, âFox & Friendsâ on February 3rd, appearing on Sirius on February 3rd, going on CNBC âSquawk Boxâ on February 3rd, going on MSNBC on February 5th, going on Gregg Greenbergâs program on February 6th,â he said. The deposition took place on April 15, 2015. Browder was questioned by Mark Cymrot, a lawyer from BakerHostetler, who pushed him on where he got this or that document, or how he knew an allegation to be factual. Browder often replied that he didnât know or didnât remember, or that the answer to a particular question was known only by his lawyers or the team at Hermitage. At one point, Cymrot read from the letter that Browder had delivered to prosecutors in New York in 2012, which refers to the âcorrupt schemesâ by which Katsyv acquired his wealth. Cymrot asked him which schemes he was referring to. âI donât know,â Browder said. Cymrot quoted another passage from the letter, which alleged that Katsyv had âtaken significant stepsâ to conceal the source of his assets. What were they? âI donât know,â Browder answered. In May, 2016, Veselnitskaya had a meeting in Moscow with an old client, Aras Agalarov, a billionaire property developer who owns a shopping center and an entertainment complex in the Moscow region. She told him about her mission. As she recalled, Agalarov suggest ed that she meet with Donald Trump, Jr., whom he and his son, Emin, knew from the 2013 Miss Universe competition, which had been held in Moscow at a venue owned by Agalarov. When I asked Steven Hall, a former head of Russia operations at the C.I.A ., what he made of the meeting, he said he was convinced that it was a Russian intelligence operation to gauge the Trump campaignâs willingness to accept assistance from the Kremlin, whether through e-mail leaks damaging to Clinton or targeted propaganda efforts. âCutoutsââ"envoys with no official roleâ"would always be used for an approach like that. âThey did it by the book,â Hall told me. âThere were no Russian intelligence officers who showed up, no one firmly associated with the Russian government. If youâre going to do it in New York City, right in Trump Tower, you want to have some sort of cover story.â In this case, Hall said, that was the Magnitsky Act and the adoption ban. In May, 2017, the two sides in the Prevezon case reached a settlement: Katsyv would pay nearly six million dollars to the U.S. government, but would not have to admit any wrongdoing. Veselnitskaya wrote, in a post on Facebook, âFor the first time, the U.S. recognized that the Russians were in the right!â In fact, Katsyv agreed to pay three times more than the sum he had turned down during negotiations with the U.S. Attorneyâs office in 2015, before the Prevezon defense team spent millions of dollars more on court proceedings. According to Browder, the settlement was a victory for justice. âThis sends a clear message to the people who received that money i n the West that itâs not safe and will be seized,â he said. The same month, Mueller was appointed. Evidence of Russian meddling in the 2016 election continued to mount. Last October, Manafort was indicted on charges arising from his consulting work in Ukraine for pro-Russian interests. His former business associate Rick Gates, whose links to Russian intelligence were revealed earlier this year, was indicted on the same charges. In February, the special counsel indicted a group of Russian trolls based in St. Petersburg and, in July, Russian intelligence officers who allegedly hacked the D.N.C. servers. In March, in Salisbury, England, the former Russian spy Sergei Skripal was poisoned by the Novichok nerve agent. The British Parliament responded by passing a Magnitsky-style law. These events have only strengthened Browderâs case against the Kremlin. Vladimir Kara-Murza, a Russian opposition activist who has been poisoned twice in Russia, has accompanied him on his E uropean campaign. âWith time, Bill has proved that whatever he may have done in the past, he is genuine and serious about this work now. I have great respect for him,â he said. Kara-Murza warned against focussing too much on Browderâs biography: the over-all message of the Magnitsky Act and its effects has âlittle to do with Bill,â he said.